“Everything terrible is something that needs our love.” Opening with this line by Rilke, White God tells the story of a young girl Lilli (Zsófia Psotta) whose strict father (Sándor Zsótér) exiles her beloved dog Hagen. This excellent Cannes-premiering film, a parable for Hungary’s downtrodden, mirrors the dog’s intense trip with Lilli’s as she begins to buck against the authorities in her life. When Hagen is trained to kill for Budapest’s dog fighting underworld, this dark version of Lassie bares its teeth and turns spectacularly into something else entirely. It’s a twisting, snarling film: part social commentary, part horror, part Homeward Bound-inspired doggie adventure. 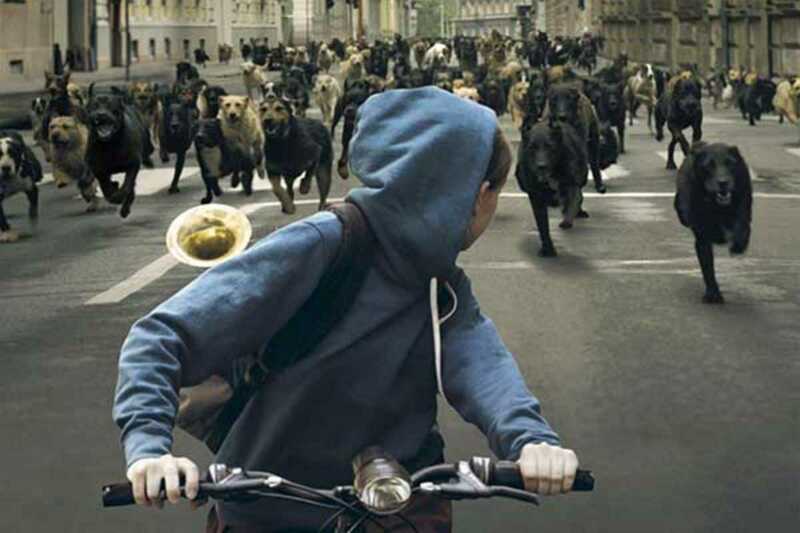 The most incredible thing about it though, apart from its jaw-dropping first scene (in which 200 real dogs run amok in a deserted city) is that director Kornél Mundruczó effortlessly presents an incredibly touching movie by way of the terror of Hitchcock or Romero.